Borderline Personality Disorder (BPD) can be reduced to a series of inter-connected and, at times, elaborate defenses that serve to promote dissociation (or fragmentation) and denial - living in fragments of the past superimposed upon the here and now in and through the borderline false self that makes getting to one's true essence and lost authentic self like walking backwards through a maze. Getting real is what is needed in order to create the kind of change required to find and stay on the road to recovery from Borderline Personality Disorder. 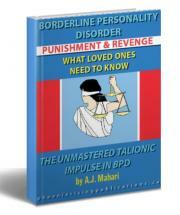 Denial, dissociation, and defense mechanisms, generally, all serve to keep the person with BPD out of his or her pain. A pain that only increases the more it is denied. Continuing to seek relief from the denied and dissociated from abandoned pain of his or her past keeps the borderline stuck in the active throes of distorted perception in which he or she is feels like a perpetual victim. In his book, The Angry Heart, Joseph Santoro, Ph.D., talking about what he calls "Dead Ends" writes: "There are other motives that you need to become aware of. Though not as deep as revenge, they can still keep you trapped in the Borderline Zone for a very long time. The motives are pleasing others, seeking out sympathy, and defeating others. They cause dead-end behavior. Dead-end behavior, as the name implies, keeps you trapped in the Borderline Zone. 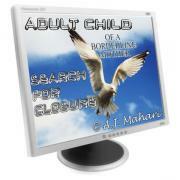 On the surface such behavior may seem quite appropriate, but over time it becomes apparent that it is not." 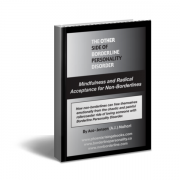 "Dead-end behaviors include blaming yourself, somatic distractions, fabricating stories about your life, pretending to dissociate, merging with your environment, becoming a rebel without a clue and playing mind games with professionals..."
"Typically, people trapped in the Borderline Zone subconsciously use these behaviors to get their needs met or to avoid facing their pain." In my past experience with BPD, fragmentation and/or denial, kept me stuck for a lot of years in my life. I was not able to move beyond the "dead-end behavior" that Santoro outlines in his book, The Angry Heart. Change and recovery can only come about after understanding. Understanding cannot be achieved until one stops old self-defeating behaviour. I learned this first-hand and absolutely the hard way in my own recovery from BPD. Walking backwards through the maze of Borderline Personality Disorder serves to increase what is often, already, unbearable pain and angst. Why do so many with BPD end up continuing to punish themselves this way? A great deal of the punishment or increased pain and trauma stems from not facing the abandoned pain that is there to begin with. This pain and reality is then compounded by all the efforts made to escape it instead of face it, deal with it, feel it and heal it. The journey from false self to authentic self that is the required journey in order to create and solidify the change, healing and recovery from BPD that involves the re-parenting of the lost authentic self. It is also a chosen journey of self-discovery. It is the erasing of past-tapes that play over and over again in one's head. This journey to health requires honesty and a willingness to put aside self-loathing long enough to begin to embrace the lost self that exists under the shame , blame, rage , pain that is the legacy of abandonment, desolation, alienation, isolation and elaborate maze of self-defeating borderline defense mechanisms. Borderlines cannot change and recover unless they are willing to feel the pain of their unmet needs and lack of healthy, defined, authentic self. A self that must grow to be consistent and able to withstand the triggers and all that pulls one to revert back to old ways of thinking and behaving that re-create the emotional dysregulation that has its roots in the core wound of abandonment. If you want to change and to recover you need to get real. While this has become a 'Dr. Philism' in our culture of late, it is an absolute necessity in this process. Nothing short of seeking to get real and coming to know what that even means will aid in a borderline getting on the road to recovery. 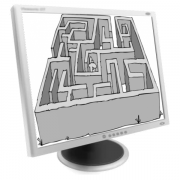 Life, if you have BPD, doesn't have to be a maze. You don't have to continue to walk through it or stumble through it backwards. I realize that while in the active throes of BPD, or as Santoro refers to it, "the borderline zone" the pain, dissociation (fragmentation) and desire to escape it all continues to feed this personality disorder in a way that just keeps increasing your pain and your experience of the Borderline World. A world that is distinctly parallel to the world that others experience. It is this parallel reality of the Borderline World and the Non Borderline World that will continue to see efforts to maintain relationships fail. >When you are borderline, or in the "Borderline Zone", life unfolds in a way that consistently meets with your cognitively distorted understanding of what is going on around you. 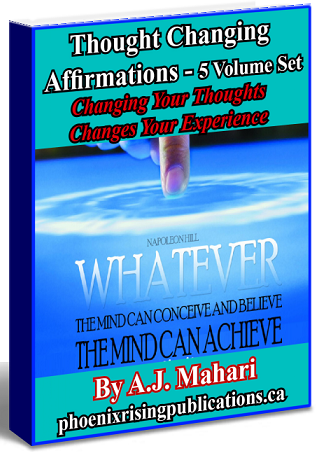 Your rigid black and white thinking, your adherence to cognitively-distorted thoughts that drive situationally-inappropriate emotions that result from your triggered emotional dysregulation continue to define your world and your experience of it. A rigid world of polar opposites that is in direct paradox from that of the world that those who do not have BPD experience and understand. To bridge that gap, borderlines must do the very difficult work of getting beyond the defense mechanisms that are actually keeping them from meeting the needs that they so long to have met and need to meet themselves. Our pasts and our genetics (to some extent or another) play key roles in the reality that becomes the Borderline "script". If you have BPD, this is what you are so familiar with. Even though you know that adhering to the 'BPD script' hurts you way more than it helps you, your tremendous fear of everything otherwise unknown, untried, new and/or different compels you to re-enact that which is familiar to you. This is the on-going impact of the unresolved core wound of abandonment. This happens because you are in such dire need of feeling safe and even tormenting familiarity seems to give you the illusion it can provide that safety. A safety that has essentially, for the borderline, ironically become The Comfort of Pain. Getting real, stepping out of the maze, deciding to take the journey from false self to authentic self as opposed to living through the borderline false self means facing your abandoned pain. It means letting go of the dysfunctional defense mechanisms that you've clung to now for so long. It means learning to take responsibility for yourself and your actions in ways that prepare you for recovery from BPD. Letting go can be very fear-producing. This getting real and letting go is best done in therapy with a trusted therapist and in a safe environment. If each person with BPD doesn't learn to let go of the dysfunctional behaviour and thoughts that support this personality disorder and stop investing in choosing them over and over again they cannot free themselves from the repeating pattern of the core wound of abandonment and the false self failure, loss, ever-increasing pain, lostness, and disconnectedness. 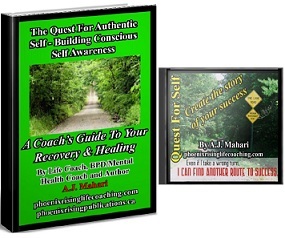 Feeling like a failure, or just plain failing, in life, at work, at home, in relationships, along with feeling lost, disconnected, isolated, alienated and so forth, only serves to strengthen your inability to take personal responsibility and increase your pain. This leads you to then feel more fragmented, deny even more and try harder through increased acting out and/or other forms of dysfunctional behaviour to meet all the unmet needs that you have. This is a self-defeating circle of cause and effect. To break this cycle you need to stop looking at those around you as the problem. Stop believing that others are always hurting you, victimizing you or out to get you and realize that you are responsible for your own lot in life now. 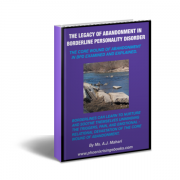 Educate yourself about both the core wound of abandonment and the on-going impact of the core wound of abandonment. You will also benefit from learning as much as you can about the reality of abandonment that is so central to Borderline Personality Disorder and the shame of that abandonment - shame that can keep you stuck and trapped in the active and painful throes of BPD. Take an inventory of your behaviour. Think about how you treat yourself and how you treat others. If you are self-harming and/or self-abusive then you can't be anything but abusive with others. 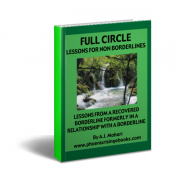 When borderlines act in ways that others don't understand and ways that violate the boundaries and safety of others, distance, which is often experienced and/or perceived as abandonment just sets the whole cycle in motion to play out yet again and again. If you want to change what you experience, you need to change what you experience from yourself and what others experience from you. You need to choose to create change from the inside out. Change does not happen from the outside in. 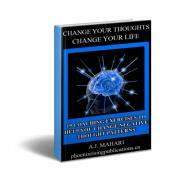 Change, healing and recovery, along with emotional freedom from this most distressing and painful personality disorder awaits your decision to get real and to take personal responsibility. You have the ability to make new choices. To get new results you must make new choices. To understand you must be willing to look beyond all that you have believed up to this point in your life. You must be willing to reach out and to trust that what others are saying, as foreign as it seems to you, has value and worth and can make sense on the other side of your denial and dissociation. It will all make sense when you rid yourself of the stock piles of rage, hurt, and the vulnerability of your past and begin to forge a strong sense of self and identity in the here and now. 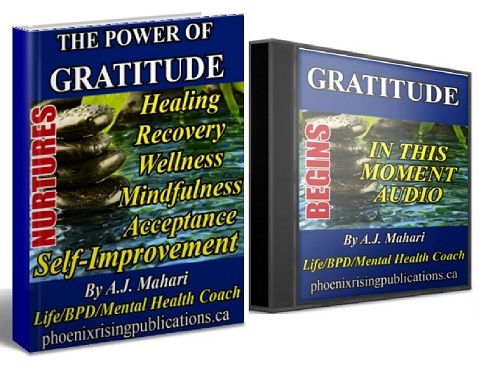 What was for you, if you have BPD, an annihilating, crushing, and abandoning wounding vulnerability when you were young and at the mercy of the core wound of abandonment initially, can now be transformed into the strength that vulnerability can also be. Being open to your vulnerability now can and will teach you what you need to know to get on the road to recovery and to prepare you for recovery from BPD. Denial, dissociation, fragmentation, avoidance, and excuses, along with feeling, poor me will only continue to increase your abandoned pain and your need to escape it at all costs. Healing is about finding the real you and then living with integrity. 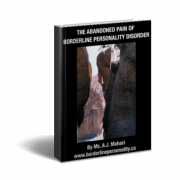 Avoidance of yourself and your pain will keep you trapped in the parallel world of Borderline Personality Disorder and all its triggered emotional dysregulation. A world that holds you in its grip in such as way as to squeeze the life out of you. What you need to know is that you are truly the master of that world, from the inside out. You are the one whose hands are squeezing now. You are not being squeezed by anyone other than yourself. You really have more power than you might imagine to effect the change that you most need and likely really do want in your life. Dare to go for it. Dare to let a professional help you. 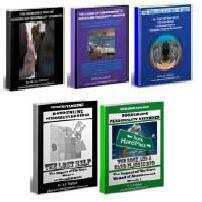 Dare to get into treatment for the long haul being determined to stop at nothing short of recovery. The choice really is yours. Choose wisely.